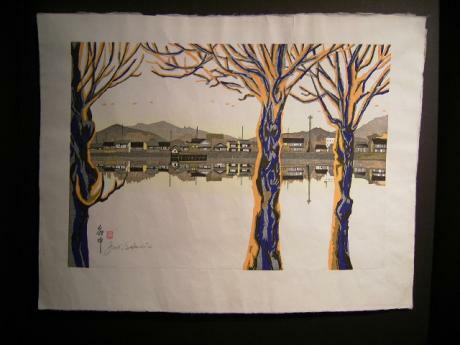 Description: Japanese 20th century woodblock print entitled, "Fuchu on Tokaido" by artist, Junichiro Sekino. Signed Jun. 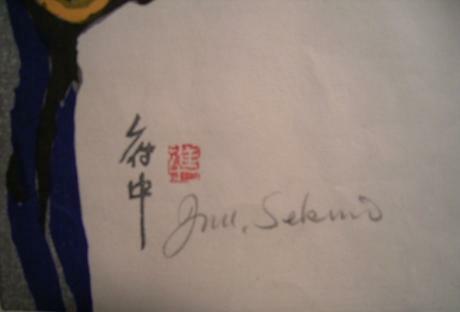 Sekino with stamp. 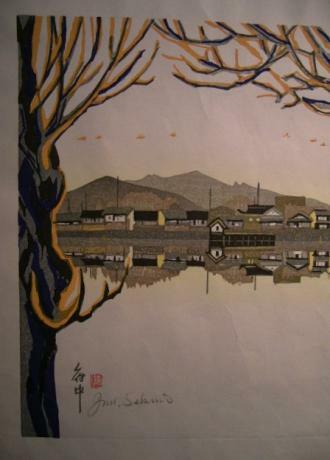 The print is a view of the town of Fuchu with its reflection in the river. Fine colors and impression. 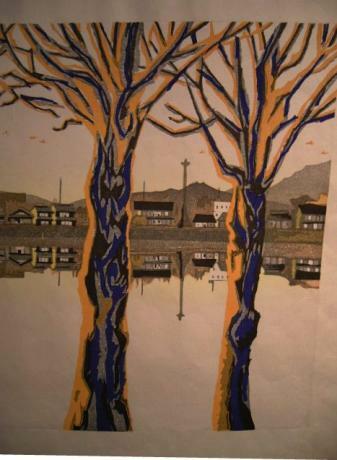 The paper measures 21 5/8" wide by 16 3/4" tall, and the print measures 18" wide by 12 5/8" tall. A few creases on the paper.